Monetary Easing, Rising Rupee, Tax Resolutions Strengthen Markets. A massive monetary easing, coupled with a major resolution of tax disputes and the strengthening rupee value buoyed the Indian equity markets in the just-concluded weekly trade. Mumbai: A massive monetary easing, coupled with a major resolution of tax disputes and the strengthening rupee value buoyed the Indian equity markets in the just-concluded weekly trade. However, a substantial portion of gains were erased later in the week when key data showed a slowdown in manufacturing activity. Profit-booking and unwinding of positions also forced the markets to cede initial gains. The barometer 30-scrip sensitive index (S&P Sensex) of the Bombay Stock Exchange (BSE) gained 357.45 points or 1.38 percent to 26,220.95 points from its previous weekly close of 25,863.50 points. 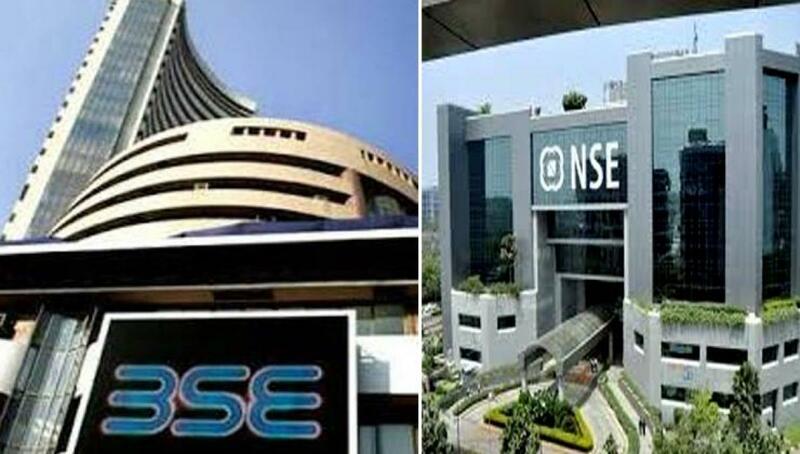 The wider 50-scrip Nifty of the National Stock Exchange (NSE) too made gains during the weekly trade ended October 1. It rose 82.4 points or 1.04 percent to 7,950.90 points. The Indian equity markets were closed on Friday on the account of Gandhi Jayanti. "Markets ended the week with modest gains after the surprise rate cut of 50 basis points by the Reserve Bank of India (RBI). Markets rallied from the low point of the week following the RBI announcement," Vaibhav Agrawal, vice president, research, Angel Broking, said. The RBI cut key lending rates by 50 basis points during its fourth bi-monthly monetary policy review held on September 29. The markets were anticipating an easing of only 25 basis points. An easing of key lending rates restored investors' confidence, and is expected to prop up sales of interest in sensitive sectors like automobile, capital goods and real estate. "The rate cut gave the impetus and confidence to participants that the decision makers are proactive to kick start the economy. This led Indian markets to outperform Asian markets and close the session in green," said Sanjay Sachdev, chairman of ZyFin Holdings, elaborated to. The RBI also addressed the long-standing issue of commercial banks passinf on the earlier rate cuts. "The markets welcomed the fact that the RBI talked about ways for smoothening of transmission of rate cuts by the banks. It mentioned some steps that it can take and the others that the government has to initiate," Nitasha Shankar, vice president of research with YES Securities, said. The rupee, too, supported the markets. It closed the just-concluded trade on a six-week high at 65.51 to the US dollar. Gaining in four consecutive session of trade, the rupee strengthened by 65 paise in the week under review. It stood at 66.16 per US dollar on September 24, its previous weekly closing. On Thursday it gained 7 paise at 65.51 from its previous close of 65.58 against a greenback. "The quarter-end dollar selling by the information technology (IT) companies and the RBI announcement of giving greater access to foreign funds to invest in central and state government bonds supported the rupee," Anindya Banerjee, associate vice president for currency derivatives with Kotak Securities, said. The RBI's decision on Tuesday is expected to usher in around $2.5 billion by this fiscal end. The Asian markets to bolstered sentiments here. They turned positive after expectations grew of a stimulus package announcement in Japan. Another major boost came in from the Supreme Court's verdict in favour of Mauritius-based foreign fund Castleton Investment that shed more clarity over the applicability of minimum alternate tax (MAT) on foreign portfolio investors (FPIs). "The clarity on the MAT issues coming via the Supreme Court judgment has supported the markets. The verdict should smoothen the nerves of foreign investors and restore their confidence in the Indian markets," Anand James, co-head, technical research desk with Geojit BNP Paribas Financial Services, told IANS. Notwithstanding the ongoing rally, markets had to give up some of their earlier gains on the back of profit-booking, unwinding of blocked positions and data showing a slowdown in manufacturing activity. The latest Nikkei India Manufacturing PMI (Purchasing Manufacturers Index) for the last month showed a contraction. The PMI was at a seven-month low of 51.2 in September. Even the statements by US Federal Reserve Chairman Janet Yellen and the International Monetary Fund (IMF) Chief Christine Lagarde's assessment of the global economic conditions spooked investors. "US Federal Reserve Chairman Yellen's speech which hinted at possibilities of a rate hike at the end of the year and as investors preferred to unwind positions ahead of the long weekend capped the gains in the truncated week," Gaurav Jain, director with Hem Securities said.